New parents—listen up: you need a Diaper Genie. 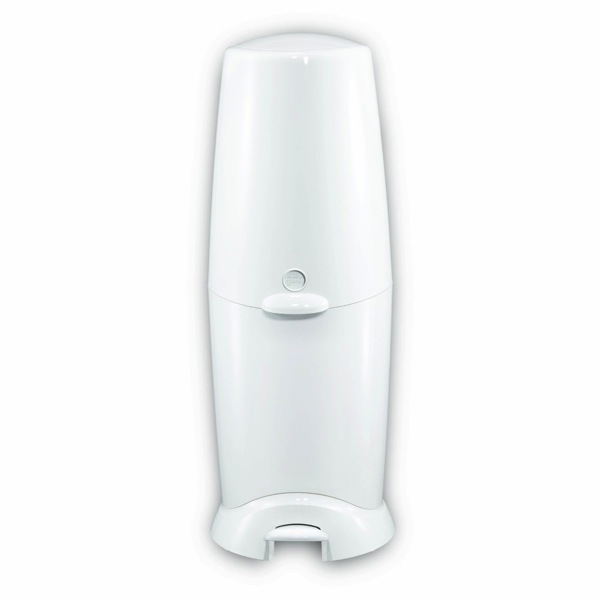 Not just any Diaper Genie but the Elite model, which has a foot pedal so you can trash those smelly diapers hands-free. Don’t bother getting the regular model where you have to lift the lid by hand. By the time you coordinate lifting the lid, your baby will have already peed on you again. After using the Diaper Genie Elite for two months now, we love it. Just step on the pedal and dump away that diaper and those endless baby wipes. Pro tip: when changing the refill, don’t pull the bag all the way to the bottom. Let it sit halfway and organically sink to the bottom, that way you can maximize your diaper storage. Don’t be afraid to stuff and push hard into the bag to fit as many diapers as you can inside. We haven’t had a broken bag yet (knock on wood) and it does a nice job with the smell. I like how the ‘mouth’ grabs your diaper and pulls it into the pail. Sure, you’re stuck buying refills from Playtex but in the long run, time is money and so is convenience. Don’t bother cheaping out and making your own diaper pail. Go to Costco to get the 4-pack refills and just call it a day. Life is too short to stress over a couple bucks per year. 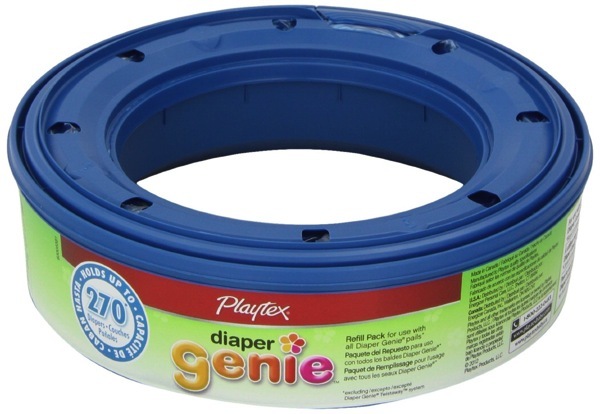 Also, don’t forget to pick up the portable Diaper Genie dispenser for the diaper bag (get it from Amazon.com). There’s nothing worse than throwing a stinky or wet diaper into your friend’s garbage can in the washroom. It’s the fastest way to be hated by other parents. So do the right thing and put the diaper into these Diaper Genie bags and rest easy. What’s your favourite diaper pail?